Dr. Chris Whetstone was born in California and grew up in the San Fernando Valley. She attended UCLA as an undergraduate and graduated with a Bachelor of Science in Psychobiology. She continued her education at UCLA Dental School where she earned her DDS degree. 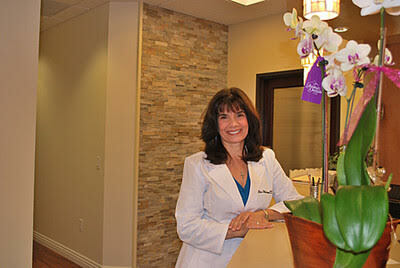 She has been gently treating patients at her Thousand Oaks office for 27 years. Dr. Whetstone lives in Thousand Oaks. Her daughter recently graduated from California Lutheran University and her son is a junior at USC. They all enjoy traveling together with Alaska and NYC high on the list of favorites. They have 3 pets: a Pembroke Welsh Corgi named Comet and 2 cats named Skipper and Yoda.